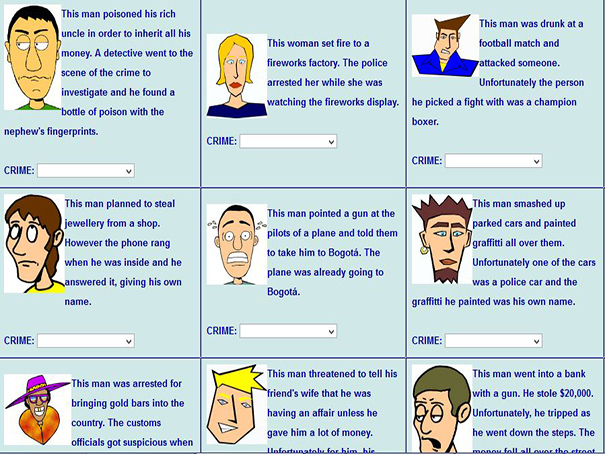 This site teaches you about specific crime vocabulary. Read about these careless criminals and try and work out what crime they have committed. Make sure you pay attention to the details in the description of the crime scene.